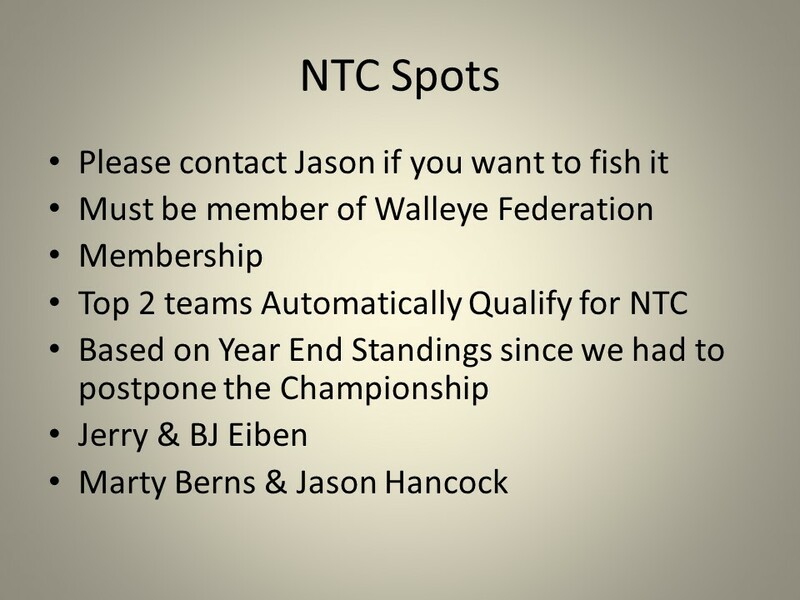 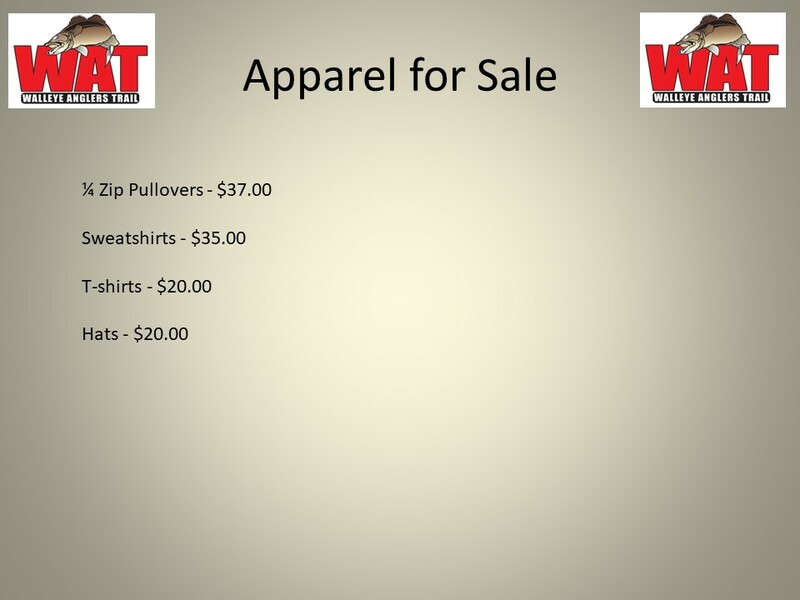 Developed in 1996, the Walleye Anglers Trail is the premier competitive team walleye fishing circuit in the Iowa-Wisconsin-Illinois tri-state region. 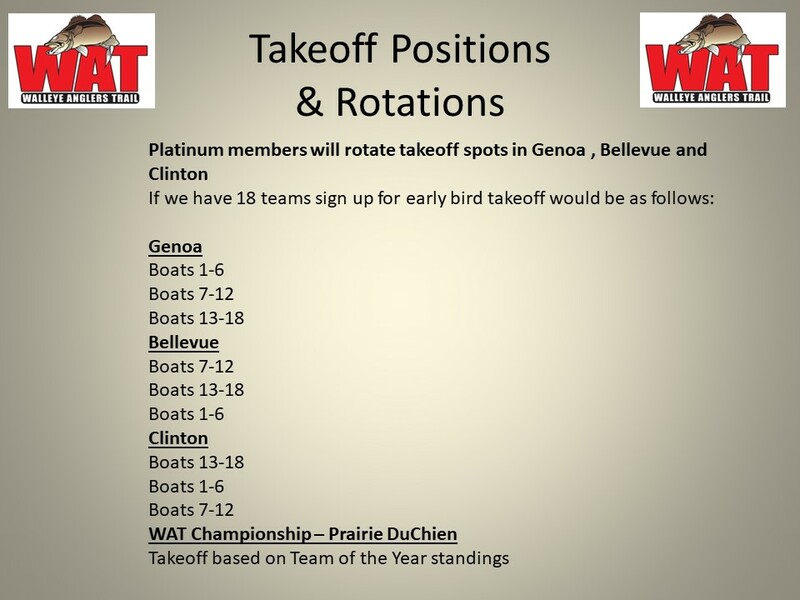 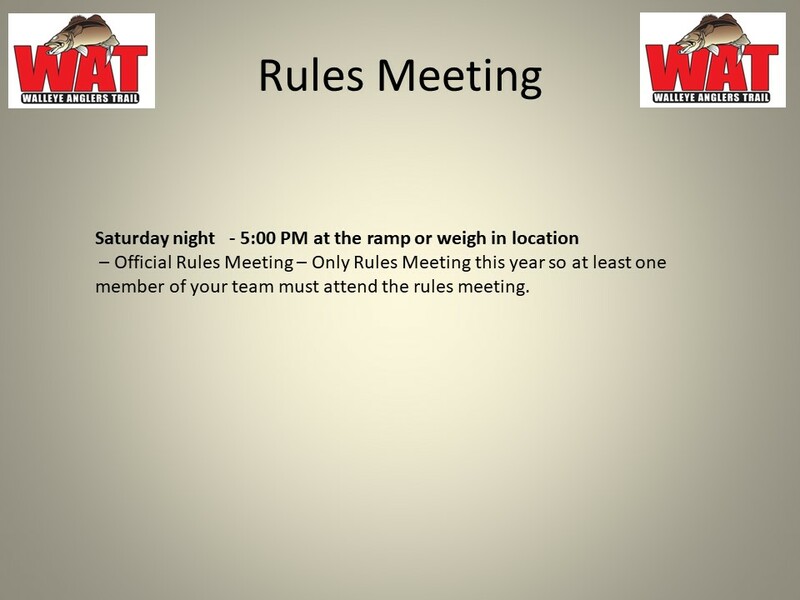 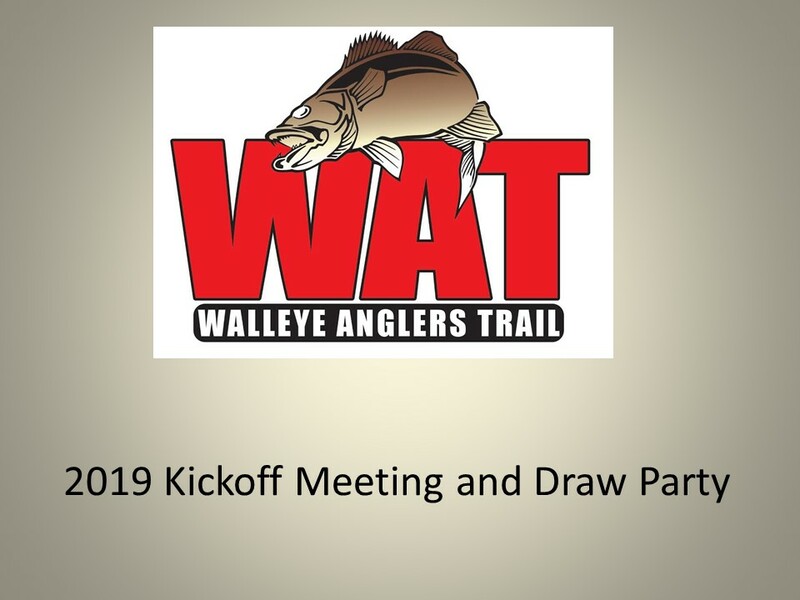 Consisting of four one-day qualifying events and a season championship contested mostly on the iconic Mississippi River, the W.A.T. 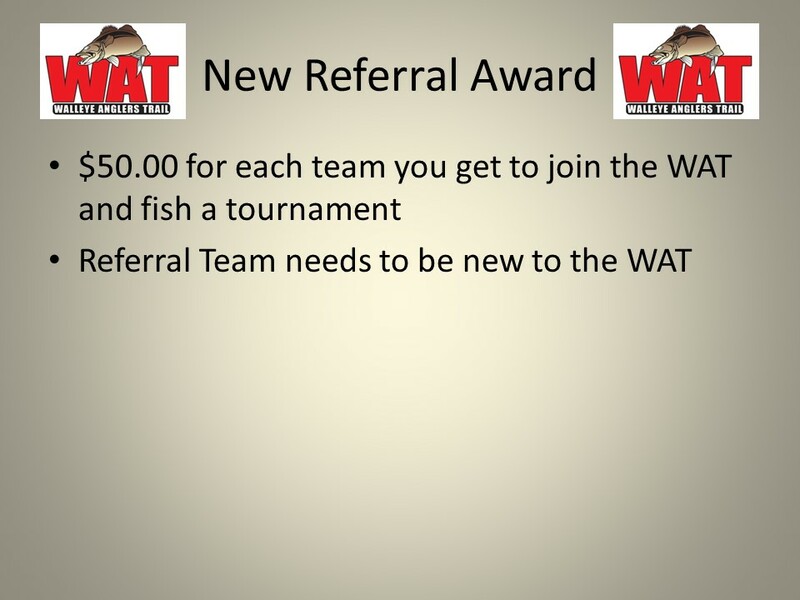 provides the ultimate test of angling skill in a variety of often changing conditions. 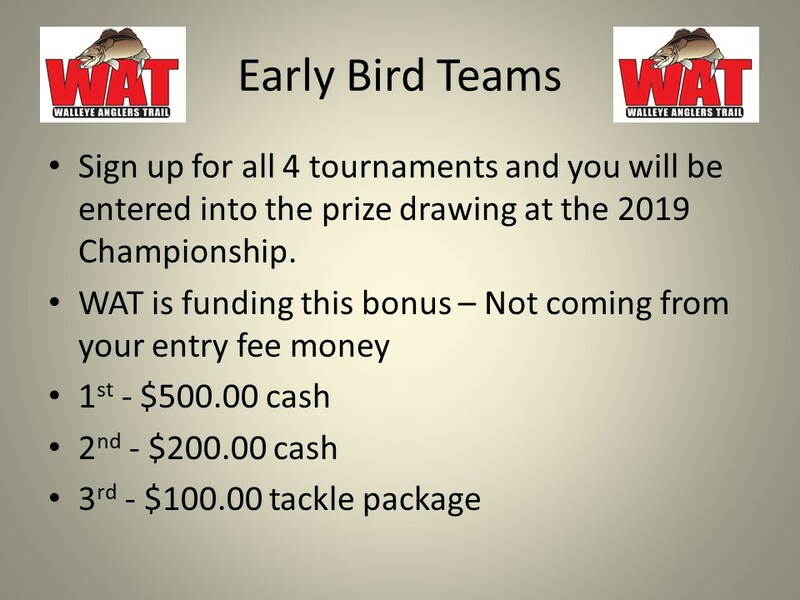 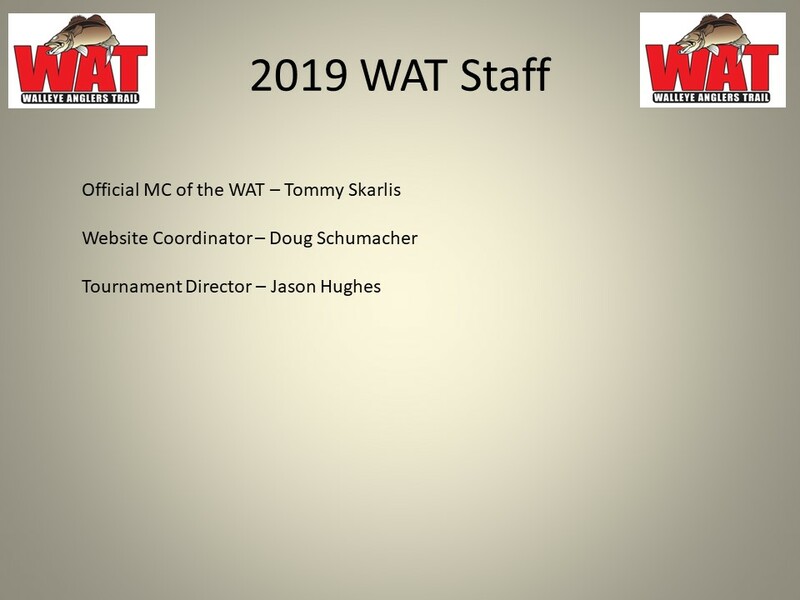 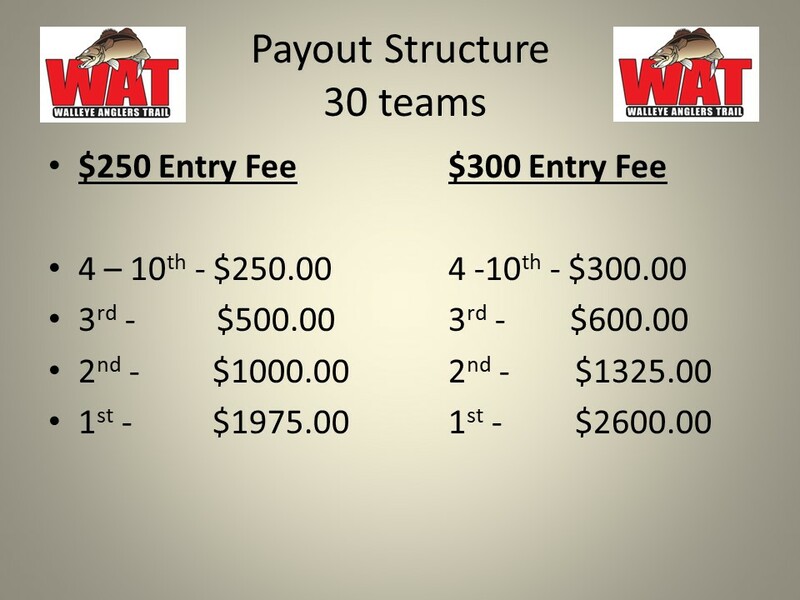 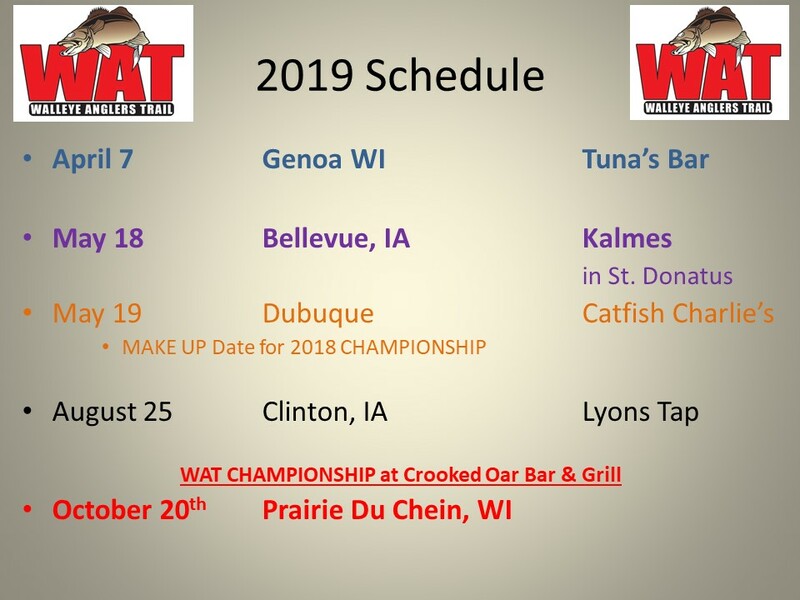 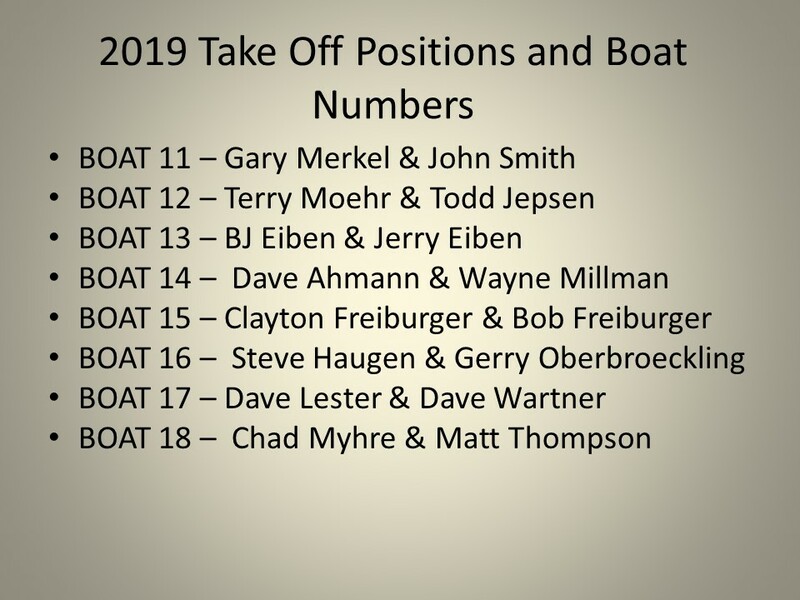 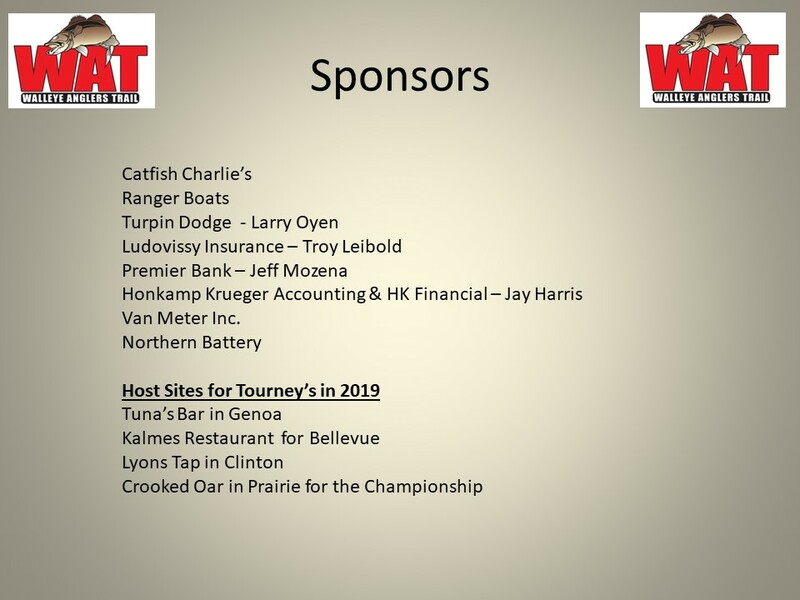 Some of the sport’s most accomplished anglers fish the W.A.T., including Professional Walleye Trail champions, Masters Walleye Circuit World Walleye champs and Cabela’s National Team Championship winners. 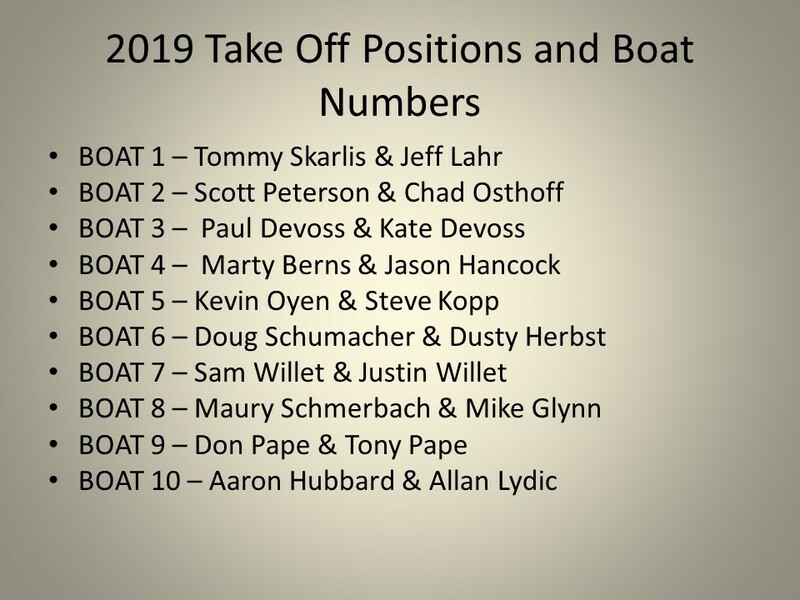 But it’s also made up of father-son, father-daughter, husband-wife and brother-brother teams who embrace the competition and the challenge, but also the camaraderie, the experience and the memories that are made on the water. 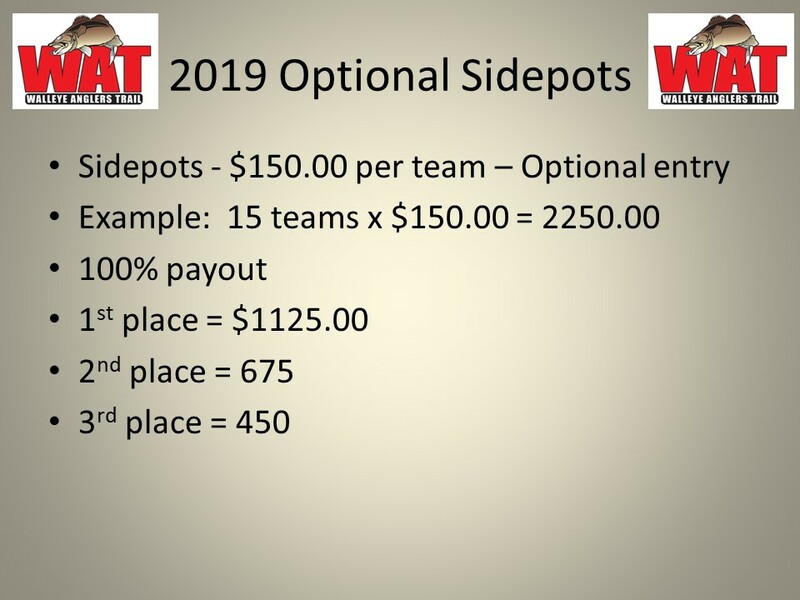 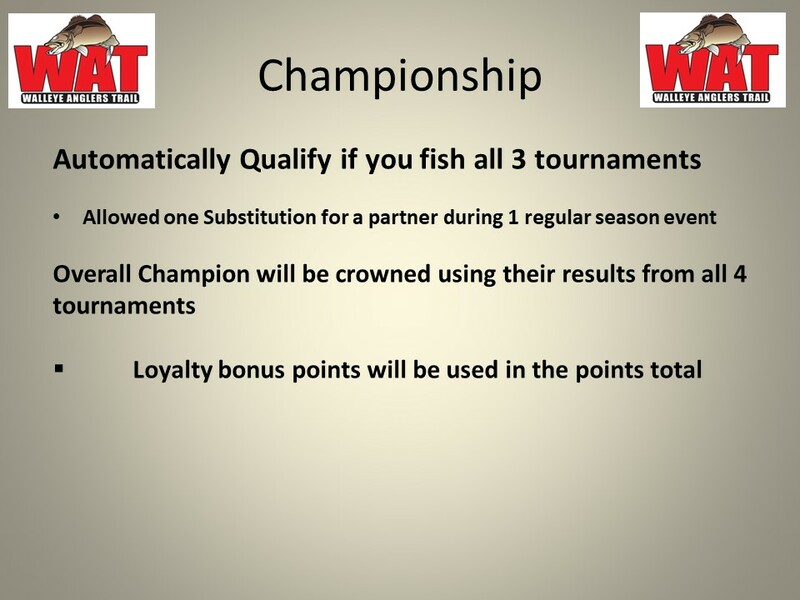 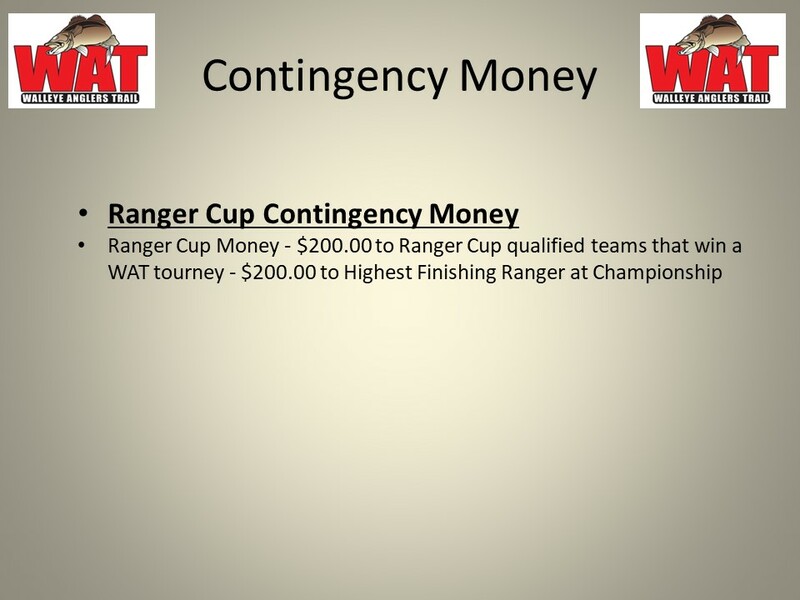 Must fish all 3 regular season tournaments to qualify for the championship. 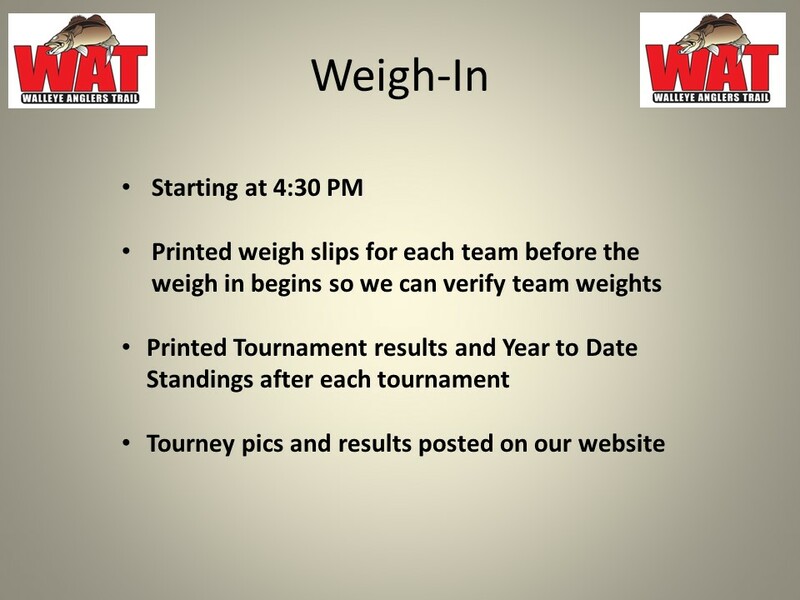 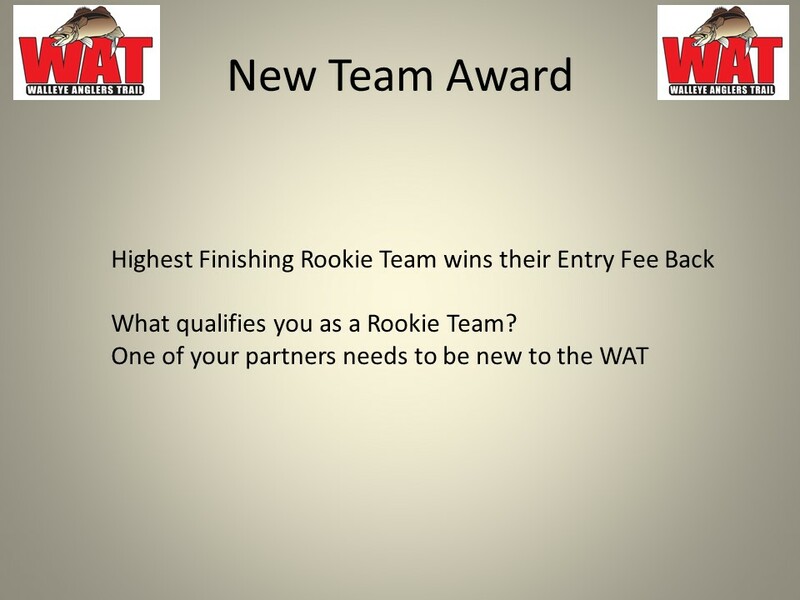 All 4 tournaments count towards team of the Year standings.